LSC Mail Marketing is proudly known for our commitment to exceptional service. That simple statement is how we’ve grown to be trusted by so many of our clients. We’re the first one they call when they need a solution to their marketing challenge. We hope you’ll call us too. 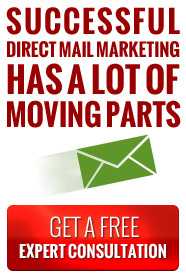 When you hire LSC Mail Marketing, we work as an extension of your company to help build and grow your brand. It's not a new concept for us - rather, it's something we've always done.